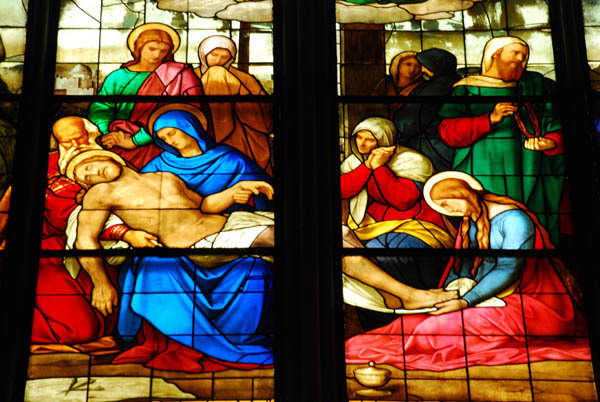 The immense cathedral of Cologne, Germany was built as a suitable resting place for the remains of the Three Kings who, as the Bible tells the story, visited the newborn Jesus after his birth, bearing gifts of gold, frankincense and myrrh. 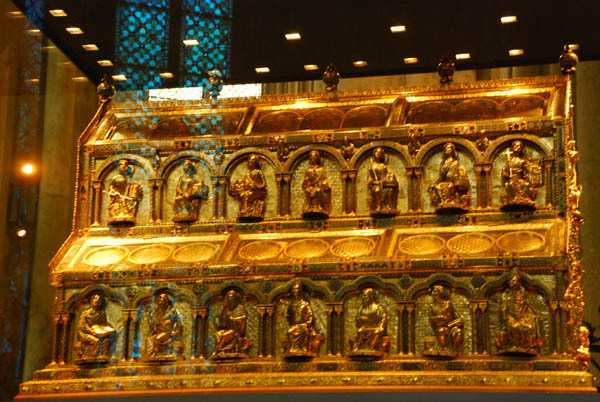 The relics were brought to Cologne in 1146, having been removed by Friedrich Barbarossa from the Basilica of Sant’Eustorgio in Milan, Italy during the time of the crusades in the 12th century. (Parts of the remains have since been returned) Construction began on the church, at least the third to stand on this old Roman site, in 1248 and after a long break starting in the late 15th century was not concluded until 1880. When work was halted in 1473 it remained unfinished for four hundred years. An ancient crane on one of the towers remained a landmark against the skyline of Cologne for four hundred years. 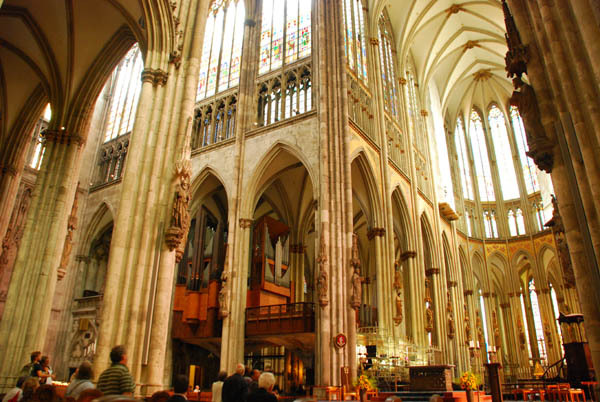 The cathedral is the most visited landmark in Germany, with an average visitor count of 20,000 per day. Those masses of people included the three of us on September 11 as we made our way from Hessen to Nordrhein-Westfalen. Even with these huge numbers of visitors, the cathedral never feels crowded due to its immense dimensions. It is the largest gothic cathedral in northern Europe. The stained glass windows were thankfully rescued from the near total destruction of the city center by Allied bombers in World War II. Stories abound of pilots using the massive twin spires as landmarks. “Turn left for Frankfurt, turn right for Mannheim.” While the cathedral was hit 70 times by bombs in the war, the massive church was able to absorb the damage and was not considered a total loss after the war. It was fully repaired by 1956. 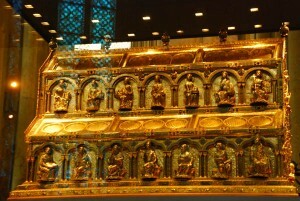 Posted in Germany Tours and tagged cathedral, cologne, german, germany, gothic, in, magi, three, tours, trips.